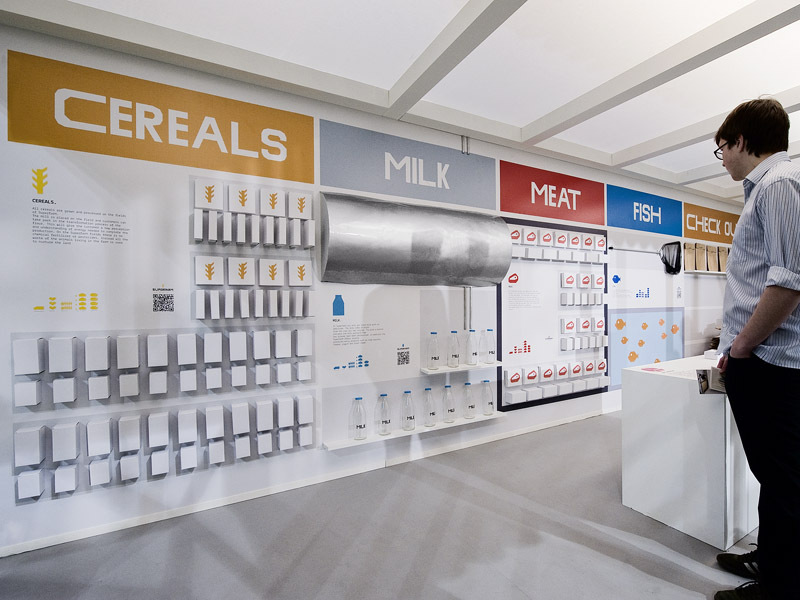 Installation for the Salone Satellite’s '50 + 50' exhibition, celebrating the 50th anniversary of the major furniture fair worldwide, Salone Internazionale del Mobile, 2011 edition. 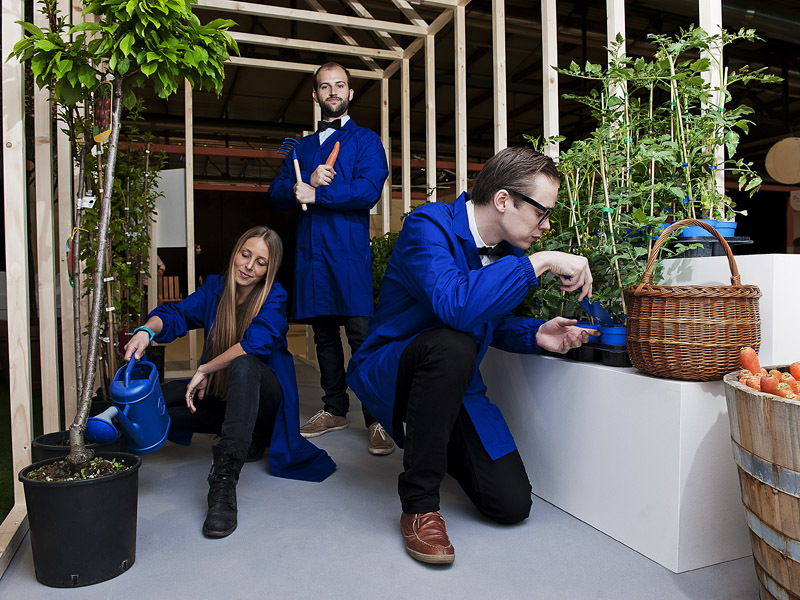 Provoked by the question “What will be the role and meaning of design in 50 years?” Hafsteinn Juliusson, Joana Pais and Rui Pereira bet on its power to change behaviours and lifestyles rather than producing new objects. 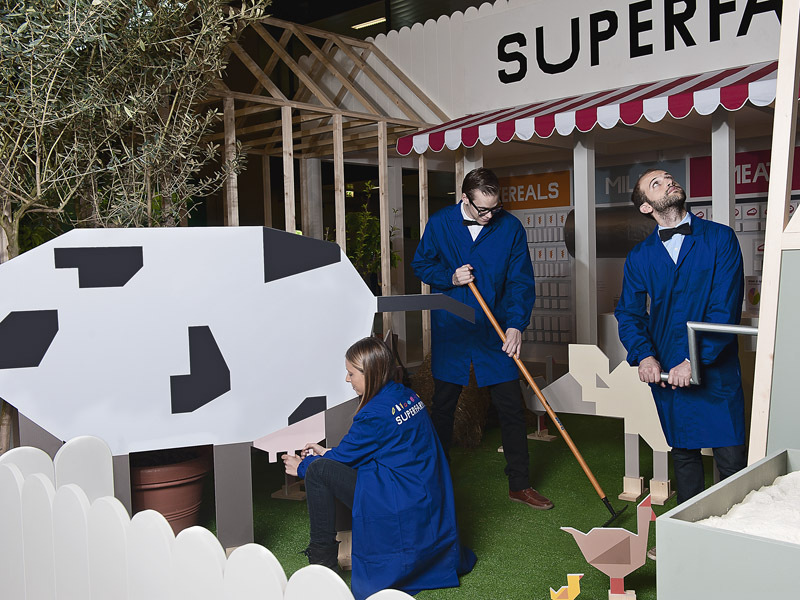 SuperFarm is a concept for a new way of cultivating and consuming food, for integrating and interacting with nature in our towns and lives, for understanding and respecting the environment, for eating and staying healthy and so much more. frontier. By the year 2050, nearly 80% of the earth's population will reside in urban centers. Its total number will increase by no less than 3 billion people. New land will be needed to feed them according to today’s traditional farming practices. What can be done? The answer is an installation that is simultaneously iconic, ironic and illuminating. 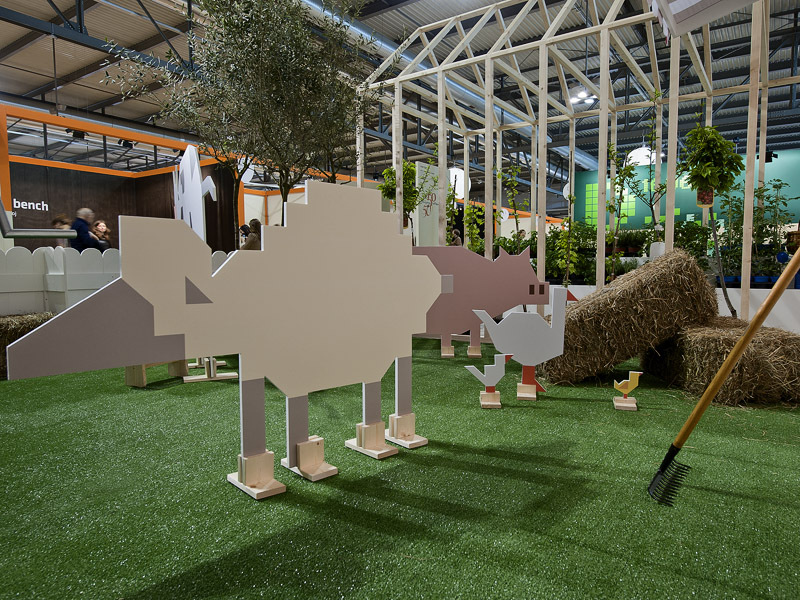 The collateral effect of SuperFarm is the creation of a new urban ecosphere, an extensive green network developing throughout the city. It changes the face of entire neighbourhoods by redesign dismissed areas and by using rooftops and facades of our buildings to grow gardens that thus become our urban lungs. 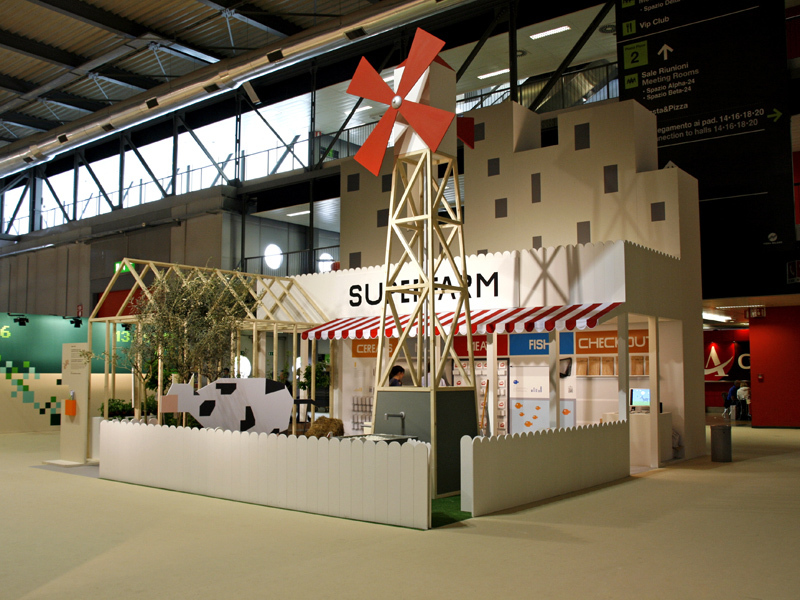 SuperFarm also helps improving awareness of aspects involved with health and nutrition. 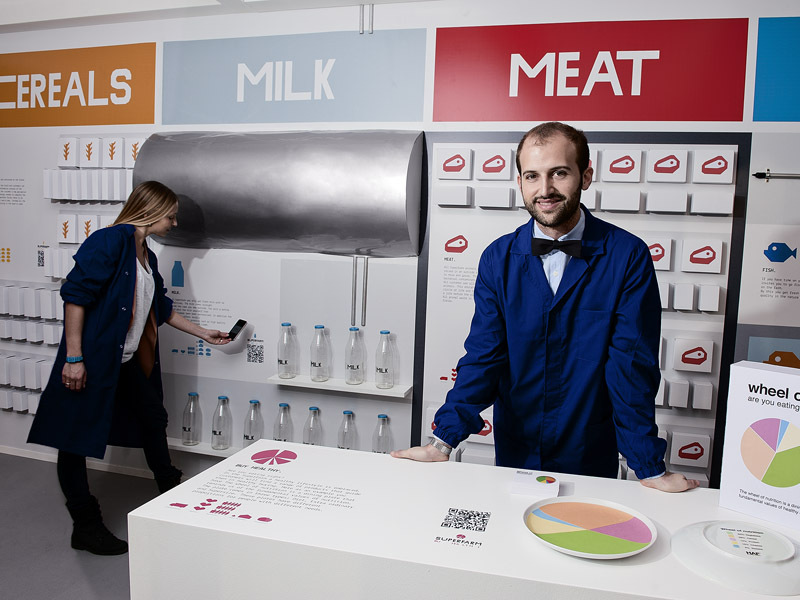 At its futuristic retro-supermarket, customers need to move and physically work in order to produce and earn their food. They need to burn calories before being able to buy new food and assume new calories; they need to understand a sustainable and ethical approach to human nutrition before just eating healthy.